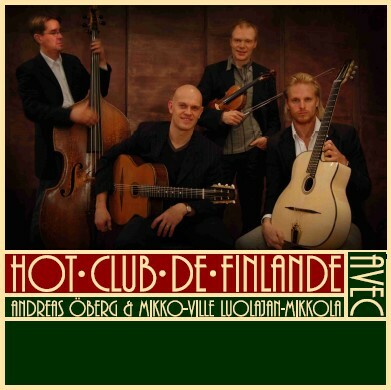 My friend & endorsee A-J Luomaranta from Ajl-guitars has made a new CD with his band "Hot Club de Finlande". Soloists are Mikko-Ville Mikkola on violin and Andreas Öberg on guitar. Rhythm-section is A-J on guitar and Ari Tarvainen on bass.